iPhone, being all the rage these days, also becomes a chat topic for its major problems that many users face. 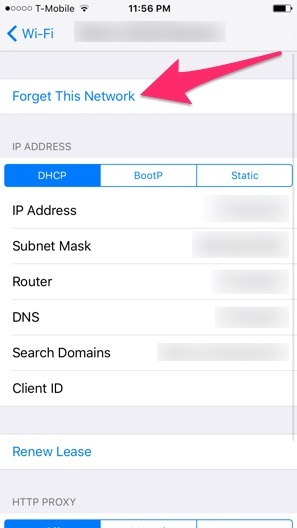 Loads of iPhone owners have complained that their iPhone Wi-Fi’s not working as the connection drops now and then, Wi-Fi grayed out, unable to connect to Wi-Fi or speed getting slow down. There must be a big trouble when such a situation arises, since most of our today’s work depends merely on Wi-Fi. To avoid that hassle, try the following methods to get over the Wi-Fi issue. Restarting has never been a bad solution whether on an iPhone or a computer if they stuck anywhere. Again, it is one of the valuable methods to fix Wi-Fi problem on the iPhone. 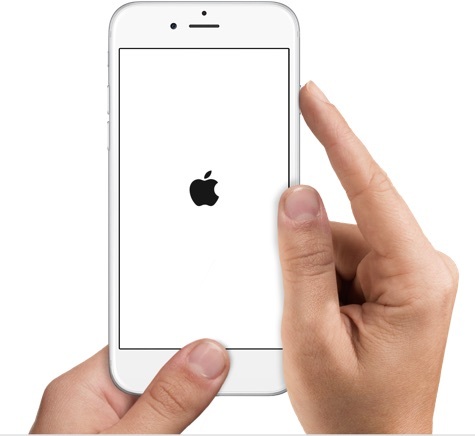 Force restarting can help you dealing with iPhone Wi-Fi not working problem. If you possess iPhone 7 or 7 Plus, all you need to do to restart it is press and hold down “Sleep/Wake” and “Volume Down” buttons at the same time. Keep them pressed for 10 seconds and once the Apple logo appears, release it. If you have earlier models, press “Home” button and “Sleep/Wake” button for 10 seconds. Bluetooth can act as an obstruction in Wi-Fi connections. For this reason, there’s a need to turn your iPhone’s Bluetooth off. This will surely help in overcoming the problem of Wi-Fi network. 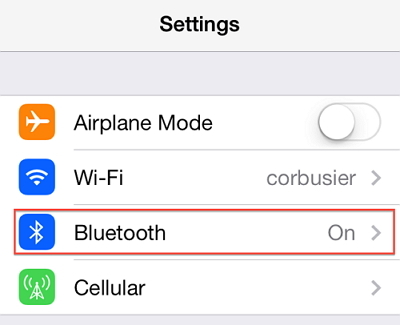 You just need to swipe up from your iPhone’s screen and touch on “Bluetooth” icon. Also, you can head to “Settings”, tap on “General” and turn the Bluetooth off by tapping on the toggle switch beside it. Sometimes, when connecting to Wi-Fi, you are demanded to enter password again and again, in spite of entering the correct password. In this case, you will enter that awkward situation where you will not be able to connect to Wi-Fi. To avoid this, make sure to forget the Wi-Fi network you are connecting. This way, you will be able to resolve the iPhone Wi-Fi not working issue. Now the steps for this method include going to “Settings” then “Wi-Fi”, tapping on “Forget This Network”. You will be asked again to confirm your action. Then, tap on “Forget” again. Once this done, go to “settings” again and tap “Wi-Fi”. Choose the network and type your password again. Join it. Resetting network settings is another solution if the above methods didn’t assist you. Executing this method will reset your entire network connections such as saved networks, cellular settings, passwords etc. To begin, head to “Settings”> “General”> “Reset”> “Reset network settings”. Now put passcode and hit “Reset network settings”. 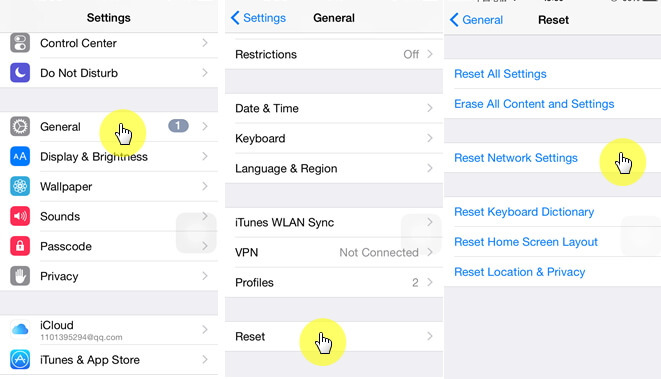 Now connect again to the Wi-Fi to cross-check if this step resolves your iPhone Wi-Fi’s not working issue. It is necessary to scrutinize your Wi-Fi router once. Make sure to reset it. If you are wondering how to do that, read on the following steps. Look for the reset button in your Wi-Fi router. You may find it on the back or bottom of your router. The router should be powered on. Now take something like a safety pin or paperclip to hold down the reset button. Do this for 25-30 seconds. Release it and wait. The router will reset completely and power on. If the above methods doesn't work, there might be a system problem. You can restore the iPhone to resolve this issue. iMyFone iOS System Recovery is a software that gives a hand in fixing iOS system problems quickly. Its simple and straightforward steps don’t need any expertise of the users. Loaded with superior features, this software has so much to give you. Let’s get a glimpse on some features of iMyFone iOS System Recovery. The software keeps an eye on your precious data while fixing your iPhone. In other words, this impressive software can repair the iOS system issues without losing data under the standard mode. iMyFone is able to mend your iPhone with various system issues. To put it simply, the software works if your iOS device stuck in recovery mode, Apple logo, black/white screen, freezing problem or the device is not even turning on etc. This software is absolutely safe and secure to use. Your information and data will be secret. It comes with an offer of money-back guarantee. In addition, it provides lifetime support. You can also restore your iPhone to factory settings with the help of iTunes to resolve the iPhone Wi-Fi not working issue. Connect the iPhone and the computer and open iTunes on your computer. Select iPhone in the iTunes from the screen of your computer. Under the “Summary” panel, click “Restore iPhone”. Confirm if you really want to complete the action by clicking on “Restore” again as it will warn you that you can lose your data. The process will begin and iPhone will restore to factory settings. Choose “Set up as a new iPhone” while it’s restarting. This method favored most of the iPhone users but sadly, using iTunes for factory settings will lead to the loss of the whole data on your iPhone. We do hope one of the above methods helps you. If you know any other method that we missed out, please comment below. This will help many people and we really appreciate that!